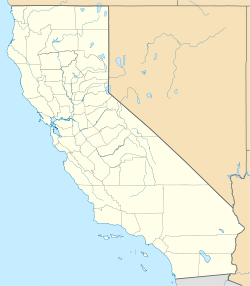 San Francisco, California and Marin County, California, U.S.
↑ "Golden Gate Transportation District". Goldengate.org. ശേഖരിച്ചത്: June 20, 2010. ↑ "Annual Vehicle Crossings and Toll Revenues, FY 1938 to FY 2011". Golden Gate Bridge, Highway and Transportation District. ശേഖരിച്ചത്: December 23, 2012. ↑ "Golden Gate Bridge". Office of Historical Preservation, California State Parks. ശേഖരിച്ചത്: 2012-10-08. ↑ "City of San Francisco Designated Landmarks". City of San Francisco. ശേഖരിച്ചത്: October 21, 2012. ↑ "അമേരിക്കൻ സൊസൈറ്റി ഓഫ് സിവിൽ എഞ്ചിനീയേഴ്സ്". Asce.org. July 19, 2010. ശേഖരിച്ചത്: സെപ്റ്റംബർ 28, 2013. ഈ താൾ അവസാനം തിരുത്തപ്പെട്ടത്: 11:05, 23 ഡിസംബർ 2017.